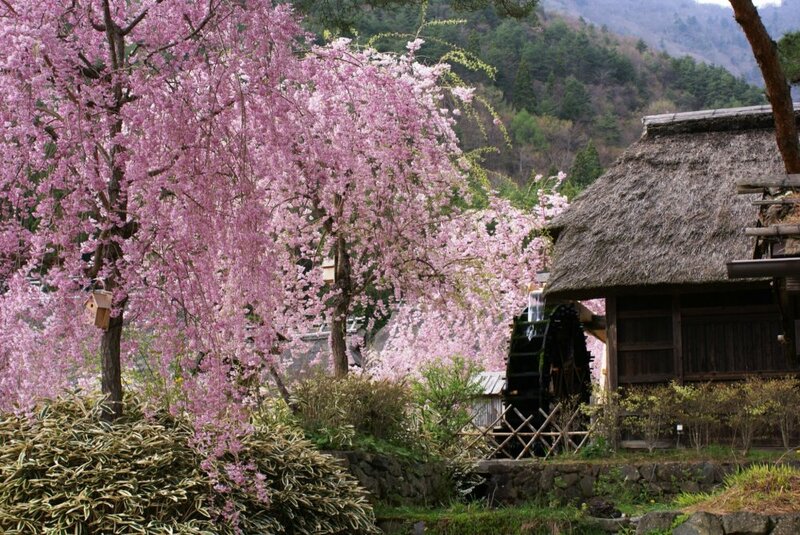 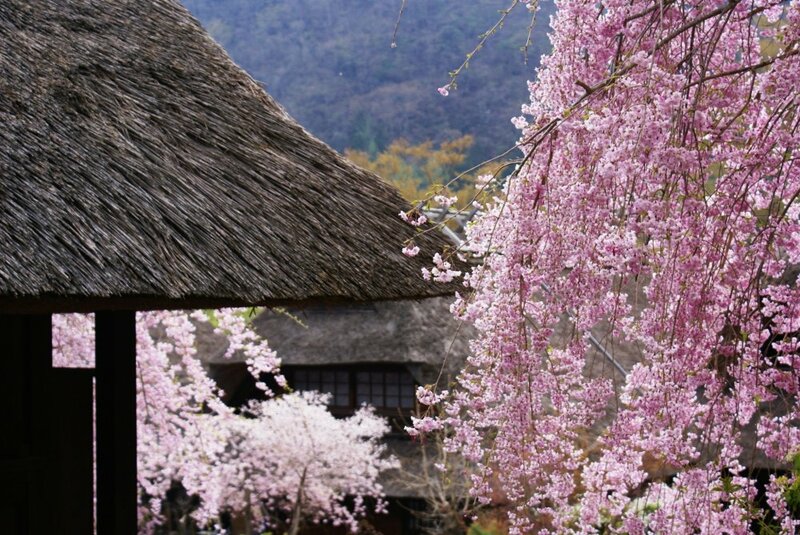 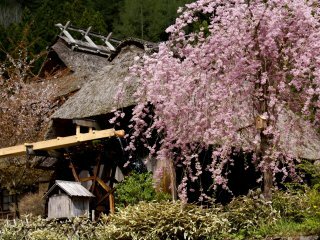 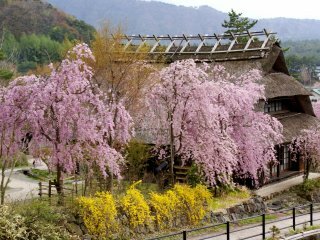 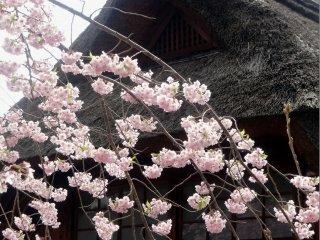 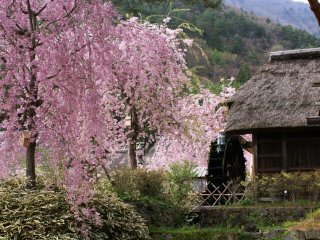 While the thatched roof village of Iyashi no Sato Nenba is worth visiting at any time of year, the scenery is particularly beautiful in mid to late April, when at least two dozen weeping sakura trees burst into bloom along the village paths. 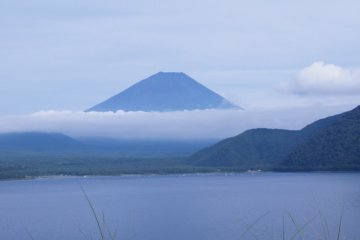 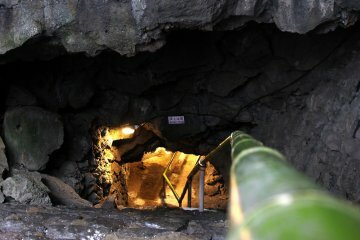 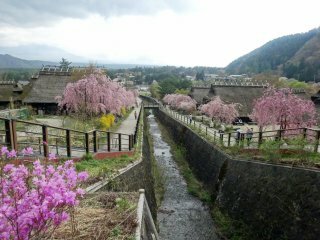 The small town that once stood in this cut in the mountains was washed away in a typhoon in 1966; when the community was rebuilt, all of the houses were redone in the thatched roof style once so popular in Edo-era Japan. 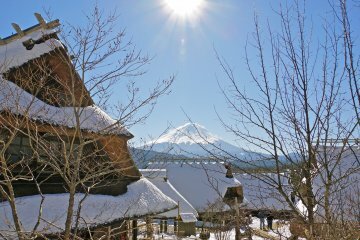 Houses now boasts various foods, crafts and hands-on experiences. 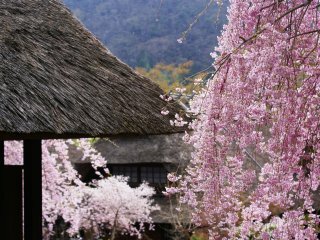 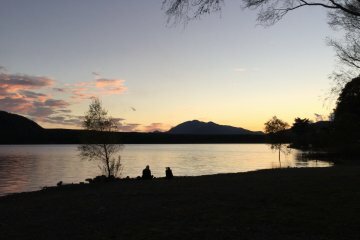 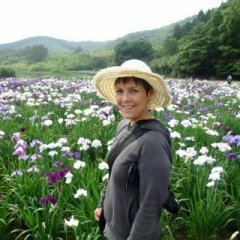 But in April, most visitors spend the bulk of their time outside, capturing the fleeting beauty of the blossoms with either cameras or paintbrushes.